Tooth sensitivity can prevent you from enjoying a hot meal or even showing off your smile during cold weather. Fortunately your Tucson dentist can help alleviate your symptoms and enjoy positive oral health. Keep reading to find out how your dentist can help you with tooth sensitivity. Many people who suffer from tooth sensitivity cannot help but wonder why it happens. Fortunately, your dentist can explain the causes at your next visit. Keeping an open line of communication with your dentist is advantageous because it helps you get answers to pressing questions as well as avoid severe dental problems. Your dentist can help you determine if your teeth are sensitive due to normal use, tooth decay, grinding, or other factors. Once you know why your teeth are sensitive you may be able to modify your habits and prevent symptoms from occurring. Your dentist will always be a quality source for dental hygiene and oral health advice. There is a solution for most every problem, and your dentist can point you in the right direction. You might pick up tips on brushing your teeth, a recommendation for a better toothpaste, or even nutritional advice that can help with your sensitivity. The most hands-on way in which a dentist can help you with tooth sensitivity is to provide treatment. A custom mouth guard can stop you from grinding your teeth at night, which may help with your sensitivity issue. Your dentist may also offer dentin sealers, fluoride varnishes, or bonding treatments. Are you looking for help with your tooth sensitivity? Contact John Carson DDS or visit his website. Dr. Carson is a dentist in Tucson who offers a range of cosmetic dentistry procedures. You can learn much more about our practice by calling us at (520) 514-7203 or stopping in to see us today. You might run into several changes as you grow older, but there fortunately there are ways to deal with them. Your dentist in Tucson can offer a range of procedures to improve your oral health at any age. Continue on for an overview of a few common dental problems for seniors. Dental cavities may occur at any age, but seniors can be particularly susceptible. This is often linked to other oral health concerns, such as dry mouth. When your mouth fails to produce an adequate amount of saliva, you may notice a dry sensation in your mouth. Unfortunately this uncomfortable sensation is not the worst part; a lack of saliva can also increase your risk for cavities. Saliva flushes out bacteria, acids, and leftover food particles. Without saliva, these particles may remain on your teeth and eat away at your enamel. Although seniors may be more prone to cavities, this is not the worst dental problem that they could experience. Seniors also tend to have a higher risk of developing mouth cancer. Unfortunately seniors might not notice the symptoms of mouth cancer, which is why regular visits with the dentist are so important. If you notice white or red patches or open sores in the mouth, call your dentist immediately. Both forms of gum disease, gingivitis and periodontitis stem from bacteria in the mouth. Symptoms include red, swollen gums that gradually recede from your teeth. This can ultimately lead to tooth loss, damaging both your oral health and your appearance. For more information about the common dental problems that seniors deal with as well as solutions, feel free to call John Carson DDS at (520) 514-7203. 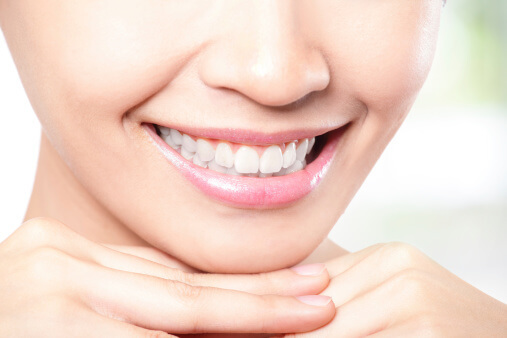 Our practice is proud to offer cosmetic dentistry in Tucson. Please do not hesitate to visit our website or stop by the offices for more information. While orthodontics offer a plethora of benefits, some people are turned off by the appearance of orthodontic treatments. Fortunately your orthodontist or dentist in Tucson can offer clear orthodontics, which are effective as well as aesthetically pleasing. Here is an overview of the reasons to consider clear orthodontics. There are several different types of orthodontic treatments, and they all serve important functions. Treatments like braces, headgear, and elastics are design to reposition your teeth. This can help you overcome malocclusions like an overbite or an underbite, and it can substantially improve your appearance. Properly positioned teeth can also help you speak clearly and chew your food efficiently as well as protect your teeth from decay. Braces and other clear orthodontics are particularly popular because they allow people to undergo treatment in a discreet manner. Many people have neglected to deal with their oral health concerns because they are afraid of the commitment that comes along with orthodontics. Traditional braces have been clunky and metallic, and some people are not willing to deal with the damper that they can put on a physical appearance. In some cases clear orthodontics are a good option for patients not interested in traditional braces. In these cases clear orthodontics can improve their oral health and appearance with confidence and comfort. Clear orthodontics can align your teeth in a discreet manner, and they can also protect your teeth from trauma. Improperly aligned teeth may not work together efficiently, and many individuals have suffered broken or fractured teeth as a result. Clear orthodontics will help you avoid these problems and keep your natural teeth in top shape. John Carson DDS is a Tucson dentist who provides the area with a multitude of treatments. You can learn about his dental crowns, root canals, and teeth whitening treatments by visiting his website. Give us a call at (520) 514-7203 or stop in and meet with us if you live in the area. Missing teeth can hinder your oral health and appearance and even change the shape of your face. Fortunately your Tucson dentist can preserve your appearance and improve your oral health with All-on-Four dental implants. Continue on for frequently asked questions about All-on-Four implants. Although dental implants and dentures can both be effective treatments for missing teeth, dental implants like the All-on-Four system come with a few important advantages. Many people feel uncomfortable with dentures because they have a tendency to slide around or fall out of your mouth. All-on-Four dental implants, on the other hand, will be permanently applied to your gums. You will never have to worry about finding the right adhesive or limiting your diet to meet your dentures’ restrictions. These implants can even help retain the shape of your face and the mass of your jawbone. Just like your natural teeth, your All-on-Four dental implants will require a certain degree of maintenance. Remember to brush your teeth two times each day and floss once. You should also see your dentist regularly to check on your restoration. There are other specific special things you will need to pay attention to when cleaning your new teeth which Dr. Carson will review with you before you start this process. How Are They Different from Normal Implants? 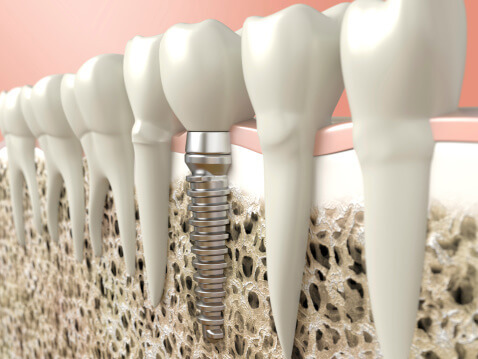 A typical dental implant consists of the implant itself and a crown that serves as a replacement tooth. The All-on-Four system is different in that just four implants can support an entire row of teeth. This expedites the surgical procedure and can be more cost effective than a mouthful of individual implants. Would you like to learn more about All-on-Four dental implants? Feel free to contact John Carson DDS or visit his website. As a top dentist in Tucson, Dr. Carson is happy to offer a range of services to his patients. You can learn much more about his treatments by visiting his website or meeting with us at our offices today. 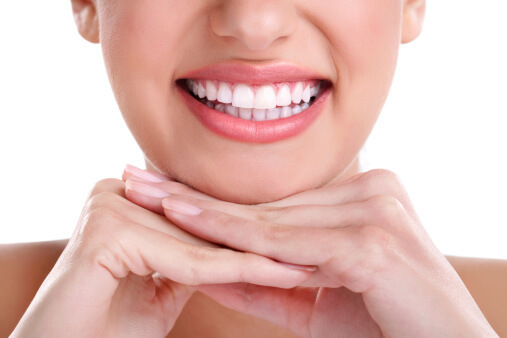 Cosmetic dentistry in Tucson offers all kinds of procedures, and each comes with its own advantages. Dental sealants are popular because of the ease with which they can be applied and the benefits they provide. Continue reading if you would like to find out if you can benefit from dental sealants. People use dental sealants to protect their teeth from cavities and decay. Plastic sealants are typically used on the back teeth, specifically on the chewing surfaces. Since these areas get the most exposure to food and bacteria, they are the most vulnerable to decay. Dental sealants work alongside regular dental hygiene practices to keep bacteria, food particles, and plaque from harming your natural teeth. This can help you enjoy better oral health, which can lead to better health overall. If you would like better oral health, you may benefit from dental sealants. Dental sealants are also advantageous in that they are easy for your dentist to apply to your teeth. Your dentist will apply the sealants to your teeth in a painting sort of fashion, and the sealants will then harden on your enamel. Sealants will bond to your teeth, filling all of the grooves that make up your unique smile. Those who wish to benefit from dental sealants must take care of their new restorations. Regular dental hygiene consists of brushing your teeth twice each day with fluoride toothpaste as well as flossing every day and seeing your dentist on a routine basis. Proper nutrition can also help you maintain your dental sealants and enjoy an improved smile. If you think you might benefit from dental sealants, call John Carson DDS at (520) 514-7203. Our Tucson dentistry practice offers cosmetic dentistry in Tucson. We offer a multitude of treatments including root canals and teeth whitening. Feel free to visit our website or stop by the office to meet with us. In many cases the aftercare of a treatment is just as important as the treatment itself. When you visit your dentist in Tucson to receive All-on-Four dental implants, he or she will provide you with detailed instructions on how to take care of them. Here is a preview of the aftercare process for All-on-Four dental implants. All-on-Four dental implants can offer you comfort and stability, but their effectiveness depends on how well you care for them after your treatment. Immediately after you have your dental implants placed, you should stick to fluids and shakes or smoothies rather than your regular diet. Scrambled eggs, ice cream, and soup can all be excellent choices for the weeks following your treatment. Always play it safe and avoid strenuous or physical activity for the first two days after treatment so your new restoration has time to heal. You will probably notice some degree of minor bleeding after having your All-on-Four dental implants placed. This is normal and expected, and it can be easily stopped with damp gauze. Swelling will typically occur for a week or more, although it will not begin until the day after your implant placement. Use ice packs to reduce swelling and improve your comfort. If you want your All-on-Four dental implants to function as well as they can, it is important to care for them. Practice proper dental hygiene by brushing your teeth twice each day and flossing once. You can also clean out your mouth after breakfast, lunch, and dinner to bolster your new dental restoration. For more information regarding aftercare for All-on-Four dental implants, please feel free to call John Carson DDS at (520) 514-7203. In addition to dental implants, Dr. Carson also offers a wide range of excellent dental care in Tucson. Please do not hesitate to visit our website or stop by our offices for more information.